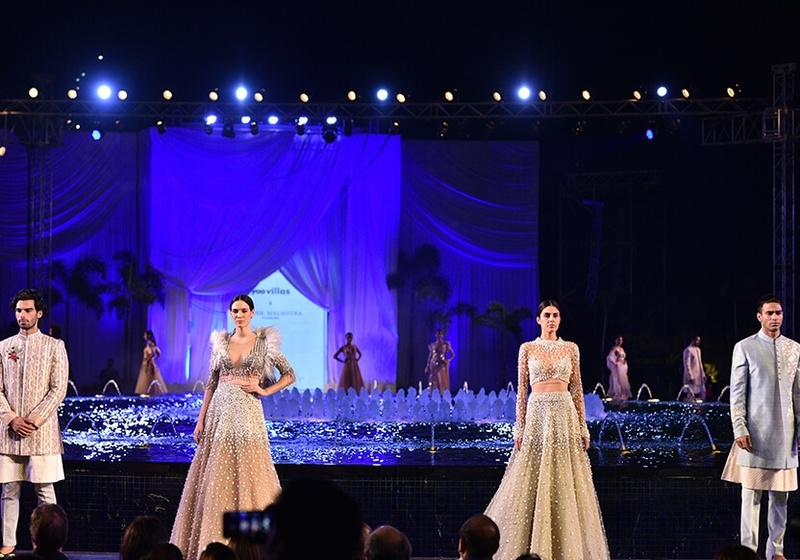 Manish Malhotra unveiled his Summer 2018 Couture collection tonight over a spectacular show hosted at the Yoo Villas in Pune. 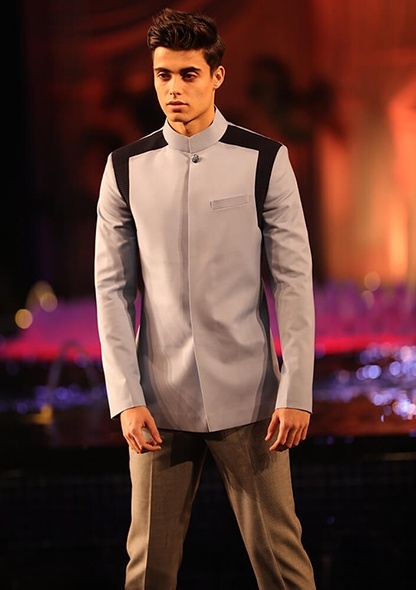 The new collection continued the label’s distinct design direction charted through a modern, young and global course. 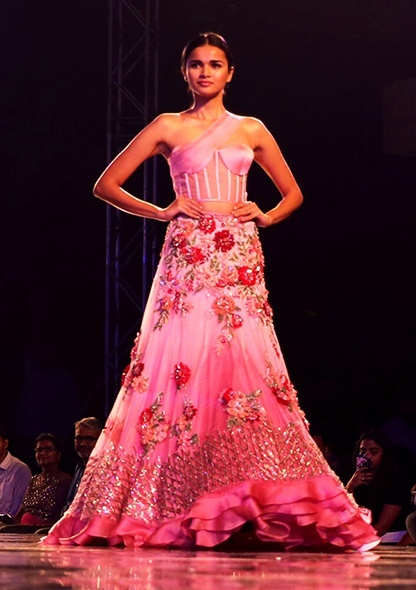 The Manish Malhotra Summer 2018 Couture collection presented its story in eloquent chapters full of play of colours, fabrics and silhouettes. 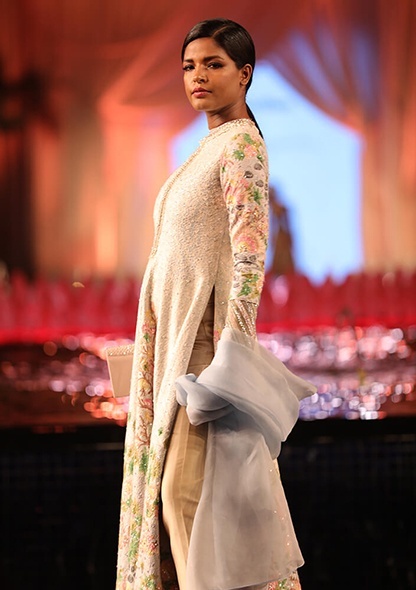 In a befitting tribute to the season, the collection has been inspired by the natural beauty and flora from the verdant valleys of Kashmir. 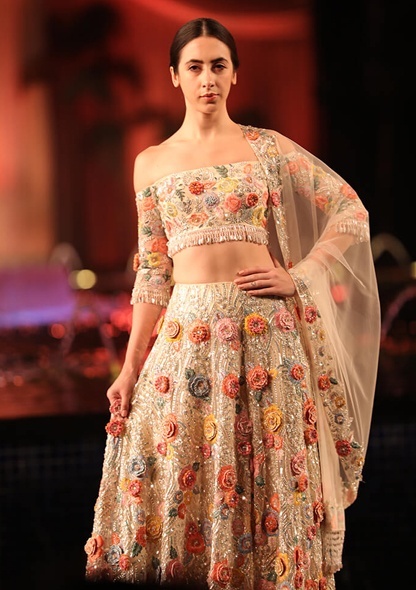 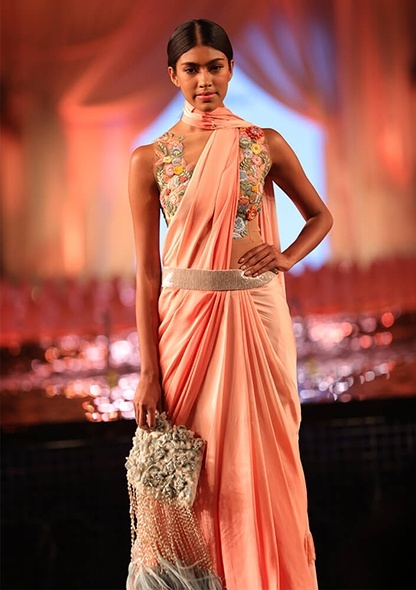 Pleated soft tulle gowns and flowy lehengas were presented in shades of light pink, powder blue and mint green – colours reminiscent of a Kashmiri landscape. 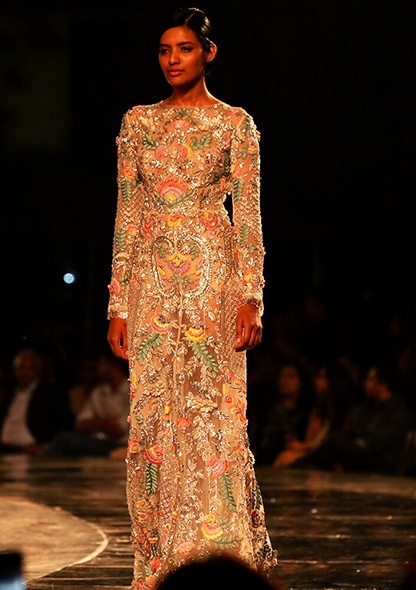 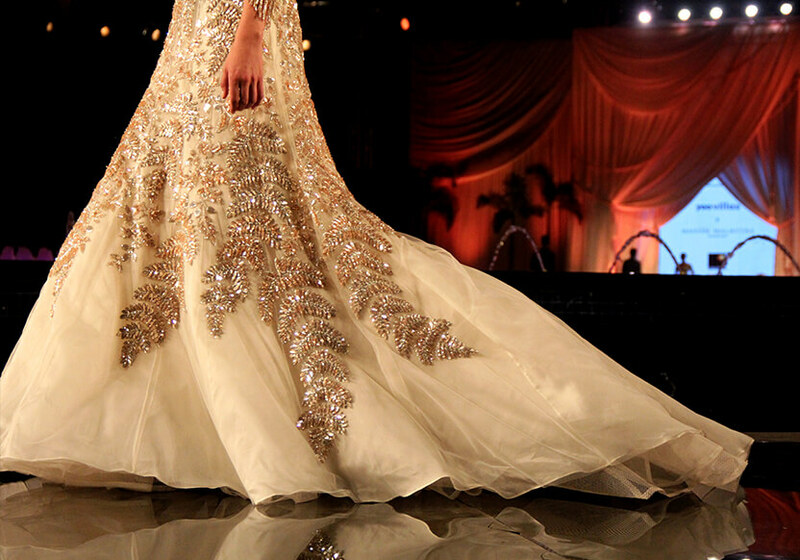 However, the spotlight of the collection was on the exquisitely crafted details. 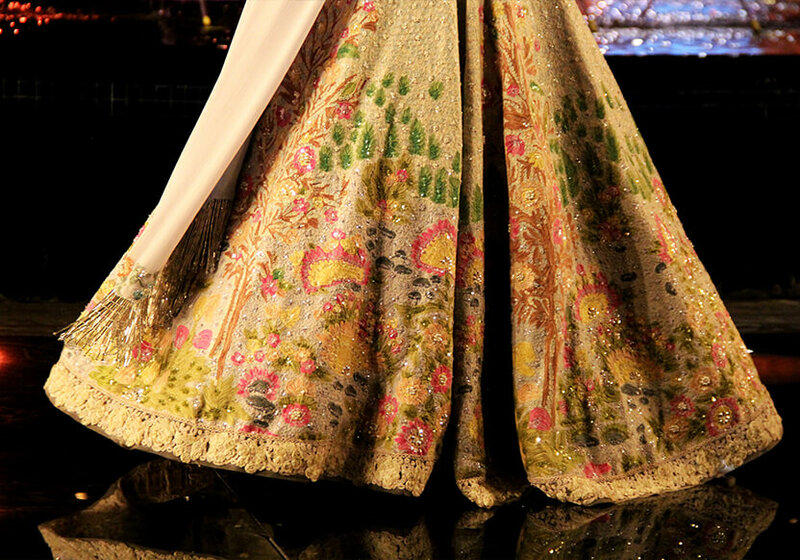 3D, appliqué embroidery of flowers in a vibrant palette nestled amidst traditional Kashmiri threadwork to create the perfect coming together of modern and classic influences. 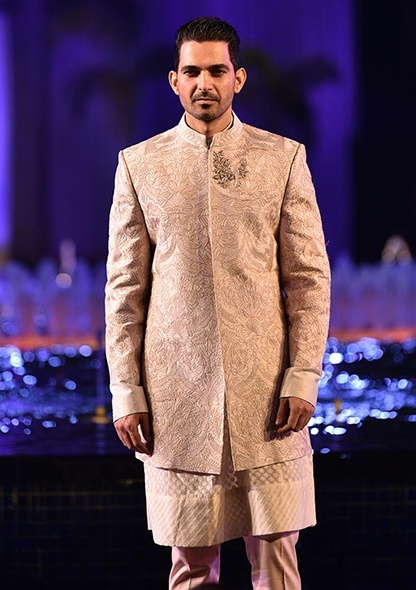 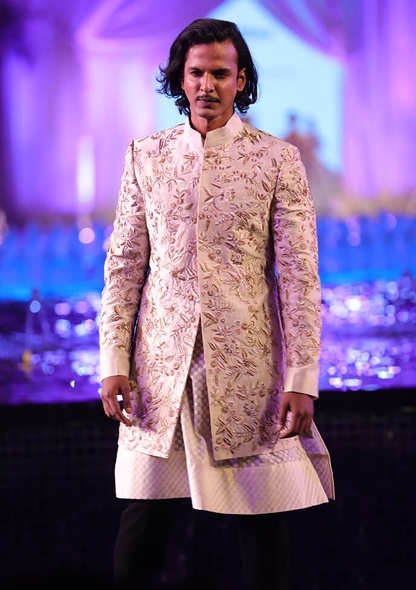 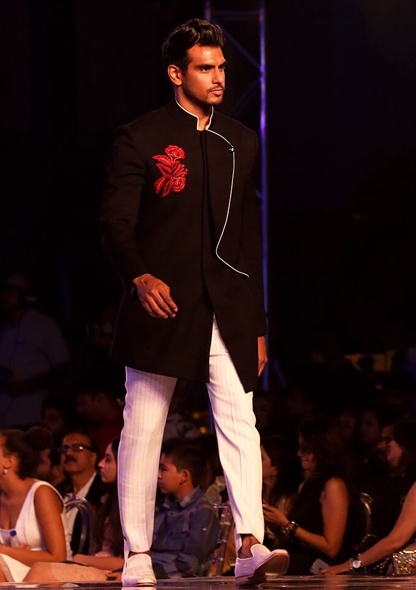 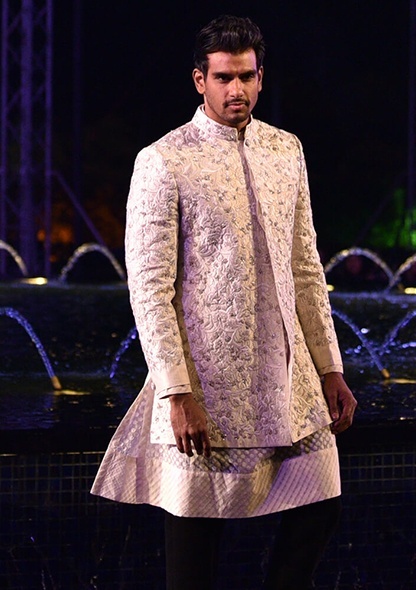 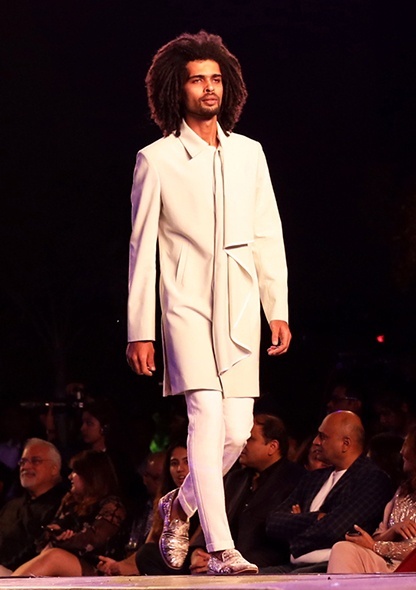 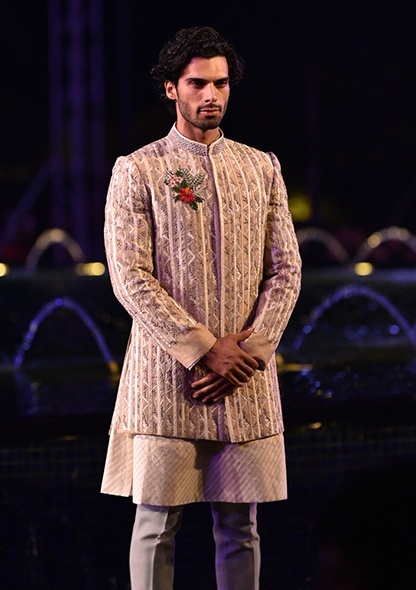 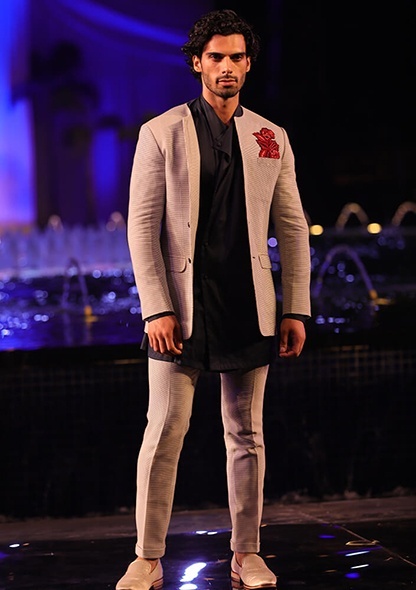 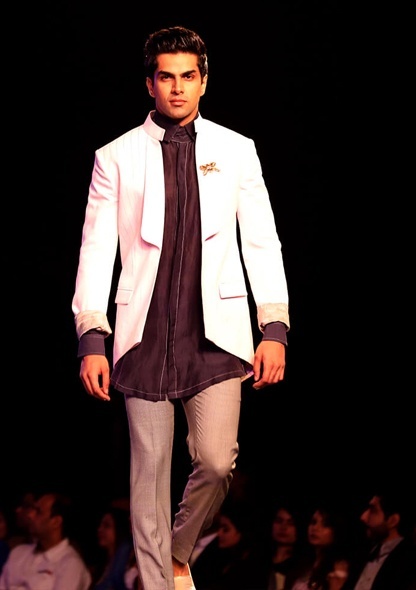 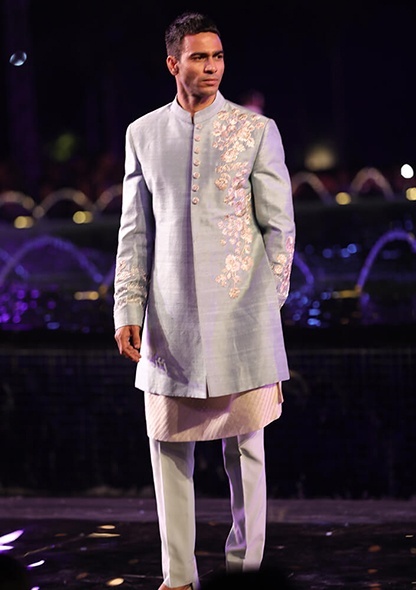 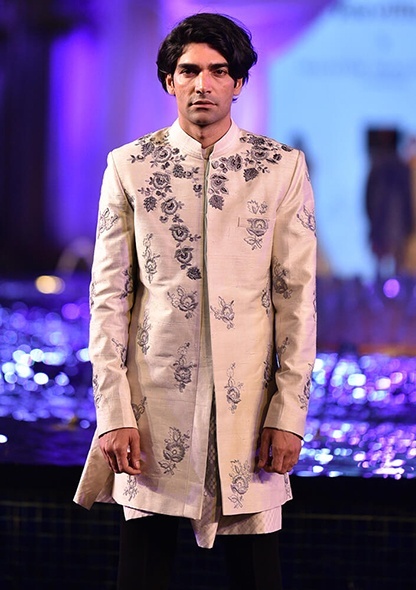 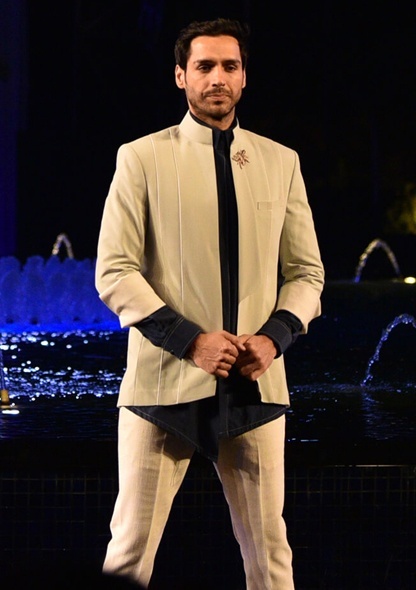 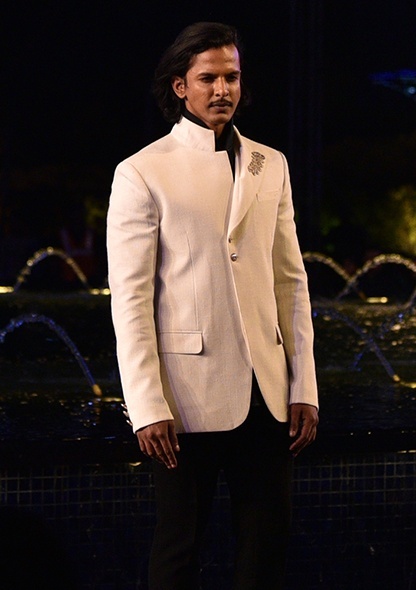 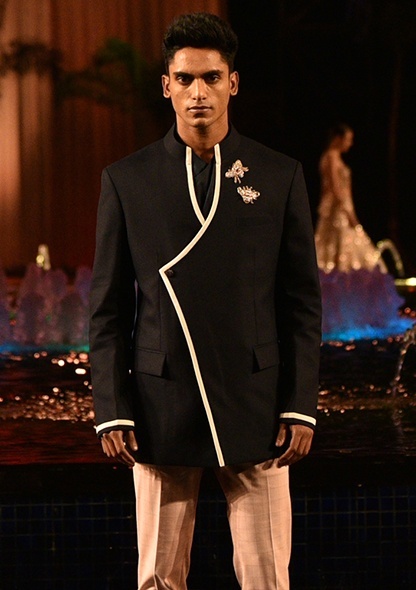 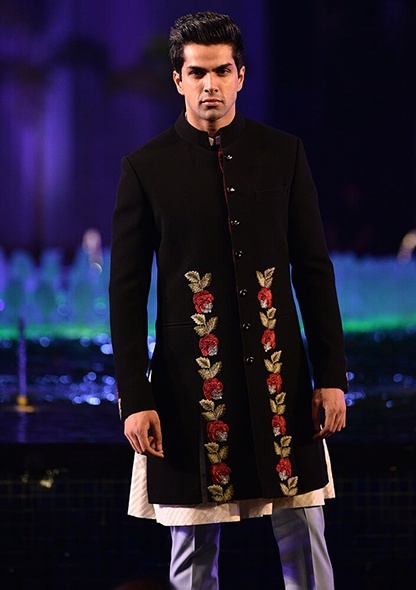 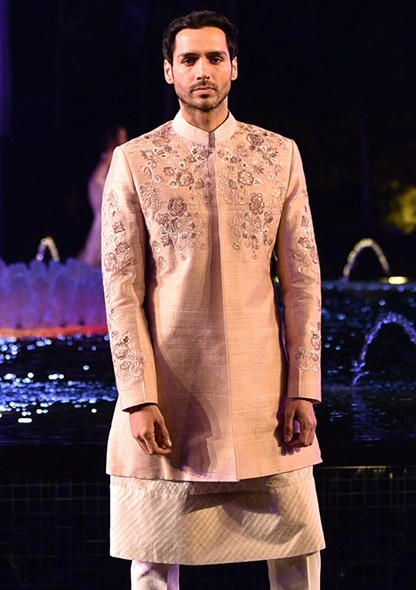 The collection also presented a unique take on formal, Indian-wear for gentlemen. 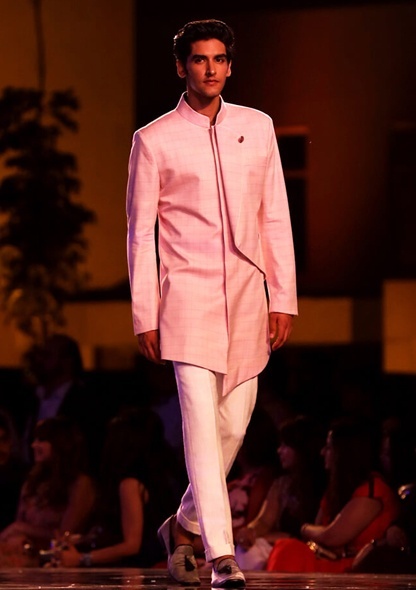 Short sherwanis and kurtas carried extended lapels and asymmetric silhouettes on a variety of pastel shades and checkered prints. 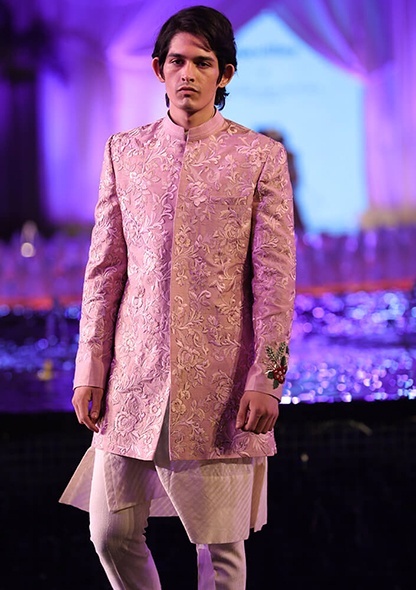 A touch of the classic was added to the men's ensembles by way of handcrafted Zardozi embroidery. 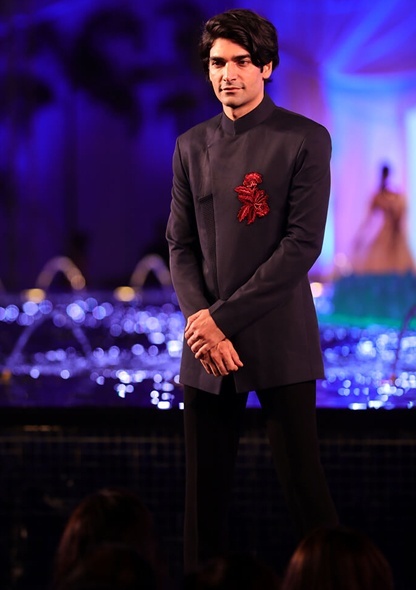 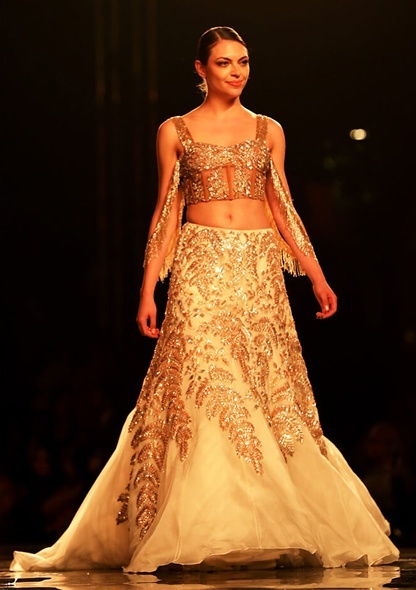 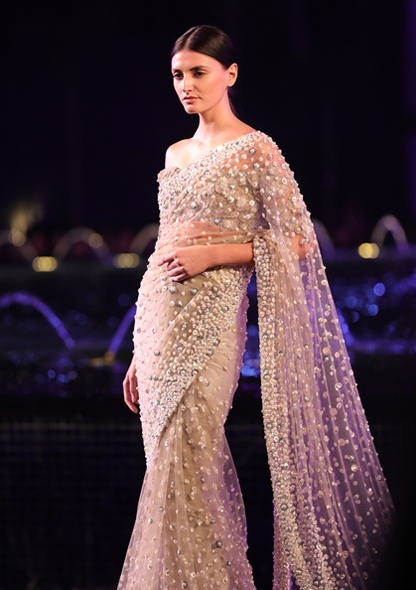 Speaking about the collection Manish Malhotra said, "2018 marks 13 years to the Manish Malhotra label. 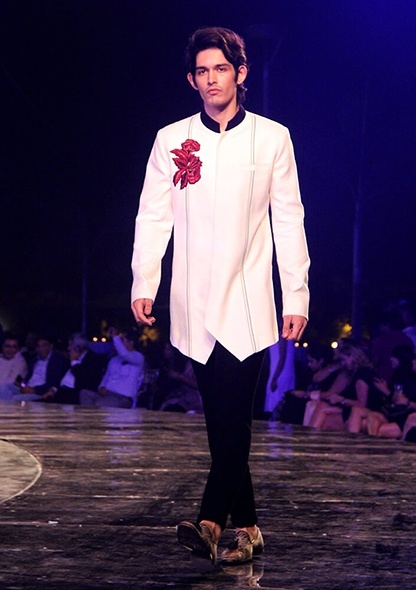 With every passing year, our design language is taking on a younger, fresher, more international voice. 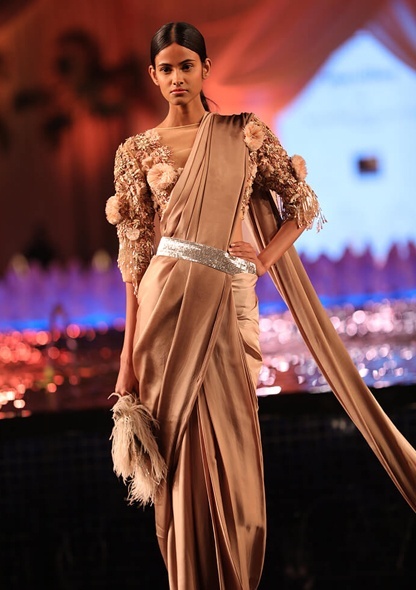 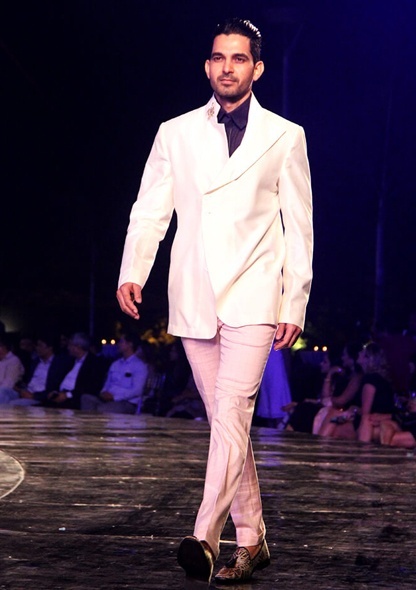 I am delighted at having presented the collection in association with YOO Villas". 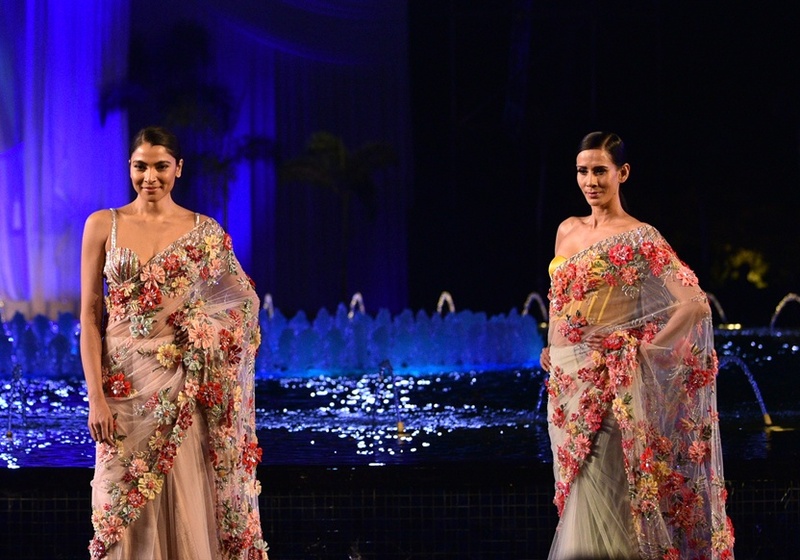 Aditi Rao Hydari, Radhika Apte and Nushrat Bharucha walked the runway in summer couture collection of Manish Malhotra respectively. 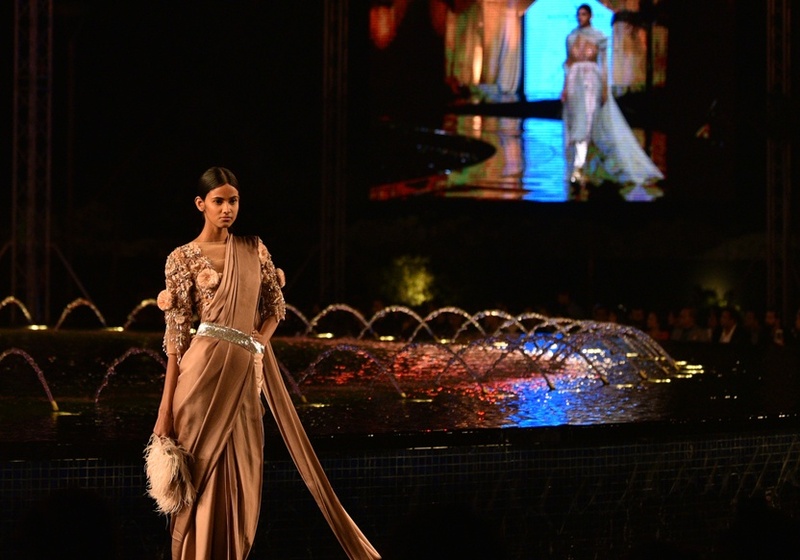 Guests including, Michelle Poonawala, Imtiaz Khatri and to name a few, graced the first row. 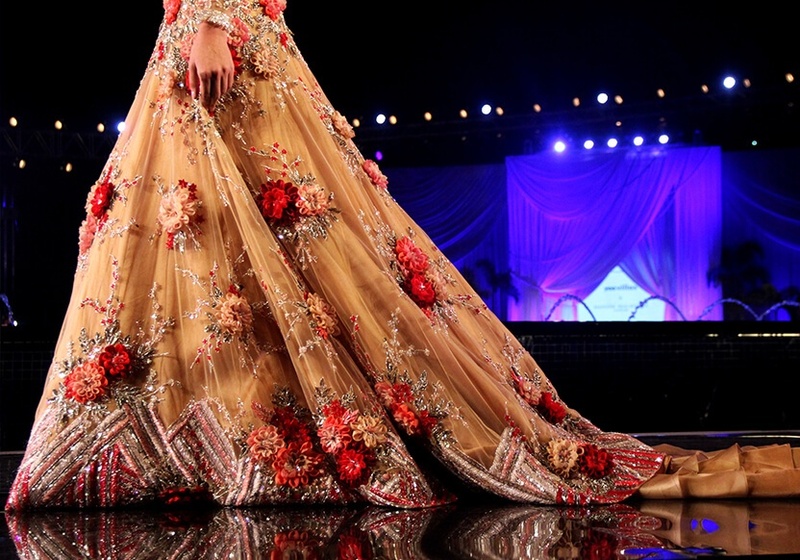 The evening also saw a performance by Sophie Choudhry, who looked beautiful in a short Kashmiri thread work glamorous dress with a dramatic trail from the collection.